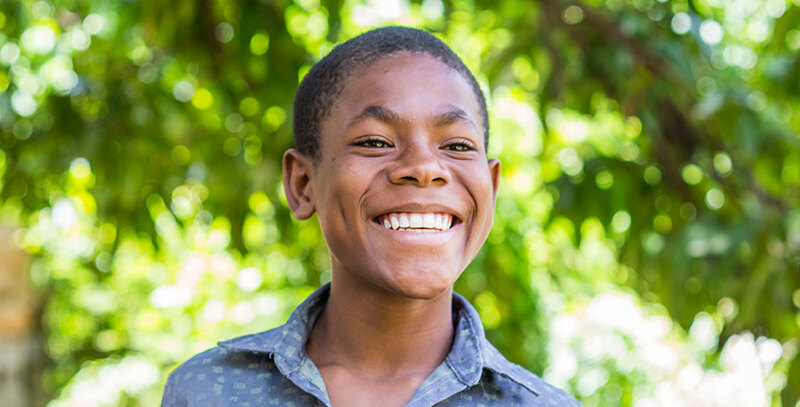 Rilusmy is a very sweet boy who loves helping people. He is so good at soccer that the older boys let him play with them; it’s his favorite thing to do at the orphanage. Rilusmy loves to dance in church and really loves dance parties! He also loves playing with his friends. That is why he loves living here the most because he is surrounded by friends. He doesn’t have one specific best friend, he’s friend with everybody. He moved here when he was 8 years old in 2010. His family lives in Fond Blanc but his father lives in Venezuela. He would like to visit him one day. Rilusmy really likes going to class. He would like to be an engineer when he gets older to be able to help with construction.